No matter what city or region you prefer, you will hardly explore the destination during one trip. Needless to mention the whole scale of sightseeing opportunities within the immense territories of the country so you’ll need at least several years to get to know the most of the monuments, palaces, and museums of Italy. Nevertheless, Italy is a true cradle of art, history, and culture so it’s better to see the legendary Colosseum, the epic ruins of Pompeii and the majestic Duomo di Milano with your own eyes than to let these images remain just the pictures from your school history book. 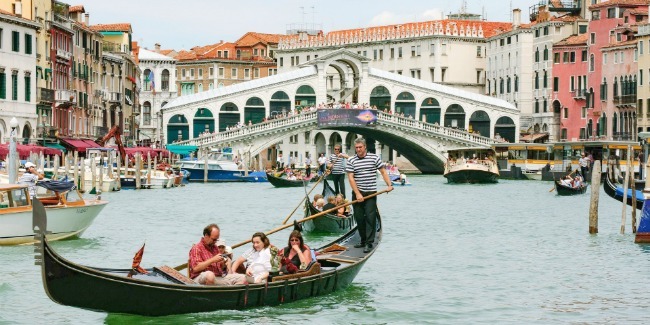 All in all, an extensive sightseeing tour is a must while staying in Italy. As Italy has the longest coastline in Europe, it would be a serious gap not to enjoy the Mediterranean sun and warm sea a couple of days at least. In fact, high-rated resorts are one of the main reasons why travelers strive to come to this country. And don’t pretend that you could resist the temptation to bask in the sun, sipping a refreshing cocktail. Would never believe that! Speaking about the cuisine of Italy, it’s no secret that Italian dishes are considered to be among the best in the world, and for some people - the best with no alternatives. Delicious pasta, pizza, and risotto are the first things that come to mind. However, there are still a huge number of dish variations from meat, fish, and vegetables. And as for Italian desserts, only “tiramisu” is worth giving half a life for it. The remaining half should be kept for Italy wines and Limoncello. Just come and enjoy! Remember the fact that Italy is the world legislator of fashion, which means it would be a fashion crime to leave the country without a couple of new dresses or a pair of shoes. Immediately head to Milan, or rather to its suburbs, the fashion district called Fidenza Village. There you will find more than 90 outlet boutiques offering dizzying discounts up to 70%, and even more on sales time. If you are adventurous enough to conquer some heights, especially if it’s not an ordinary mountain but an active volcano, welcome to Italy. The most famous active Italian volcano is Etna, located on the island of Sicily. The times when Etna is dozing, hundreds of travelers climb it every day, but if the eruption occurs, it is better to watch it from a safe distance, for instance, from nearby Catania. In any case, incredible sensations and views are guaranteed! Apart from Etna, you may also climb an already calmed down giant, the famous Vesuvius, known as a destroyer of Pompeii. If you one of those holidaymakers, whose plans are not limited by sightseeing and coastal vacations, Italy offers a variety of options for active pastime. Those who prefer to explore the vast sea expanses from the depth will find numerous diving and snorkeling opportunities while those who want to admire the emerald, crystal clear waters from above can benefit from windsurfing, yachting and sailing. Mountain lovers are free to discover wonderful Alpine tracks, practicing skiing and snowboarding. Is extreme not your thing? Then you may adore the breathtaking landscapes while hiking some of the beautiful Italian regions. One of the real Italian cults is football as it is loved by everyone from kids to adults. If you want to feel the true heat of passion, make a couple of foreign friends, and, the main one, see some beautiful professional football, there’s no place than a football stadium. Just examine the calendar of the national championship and go to the match with the participation of one of the most renowned Italian clubs like Juventus or Inter Milan. To get something more than staying in a usual hotel or crowded resort, you can try such an option as agrotourism. For instance, while in Tuscany you can live in an old villa somewhere in an olive or grape grove. If you’ve chosen to visit the Isle of Sicily, you may get a unique chance to live in a villa surrounded by lemon groves and make Limoncello for yourself every day.